Starting today I think I will try and take at least one picture in black and white daily for the next month and post it here on this blog. Black and white photography has always intrigued me, and I don’t really know the ins and outs of what makes a good black and white photo. Overall, I feel that pictures of flowing waterfalls and portraits of people generally seem to look best in black and white. Sometimes you can use it as a cheat if things are just a bit too blurry in color to look good. Other times as I edit a picture I thought was going to turn out great in color, but I feel like it just doesn’t quite look like what I was expecting, I often change it into black and white and the picture really just seems to pop. So come with me on this journey of discovering what makes a good black and white photo. Maybe I’ll take a couple good shots and by May 5th I’ll have a better understanding of black and white photography. 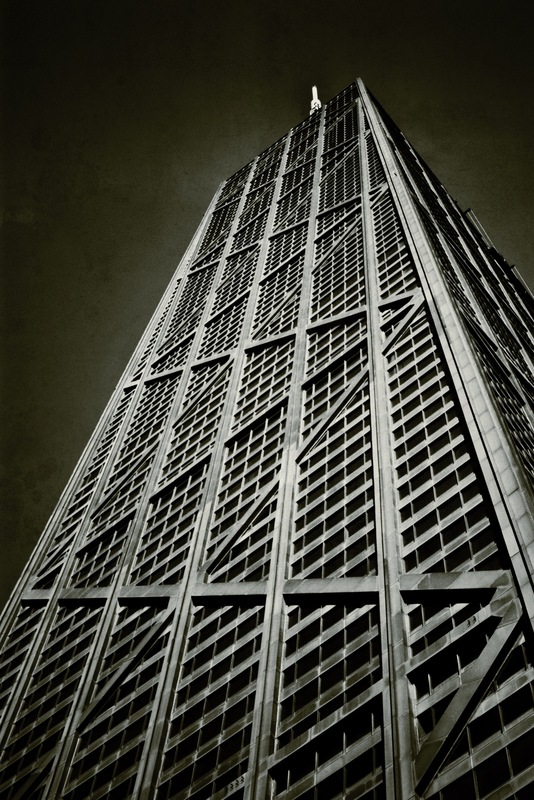 Hancock Tower – in Black and White.